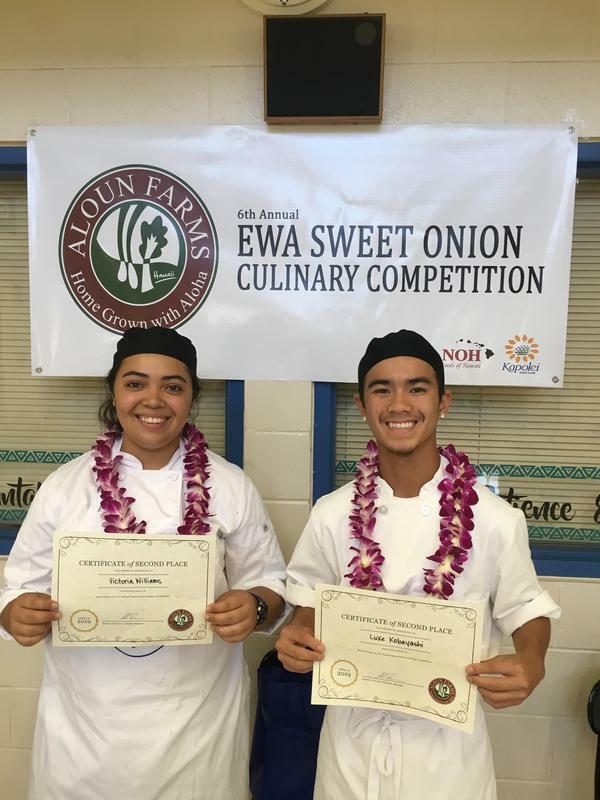 This weekend Victoria Williams and Luke Kobayashi competed against 6 other culinary programs across the island at the Aloun Farms Culinary Competition. They placed 2nd and were awarded a cash prize of $1,500 that goes directly towards our culinary program! 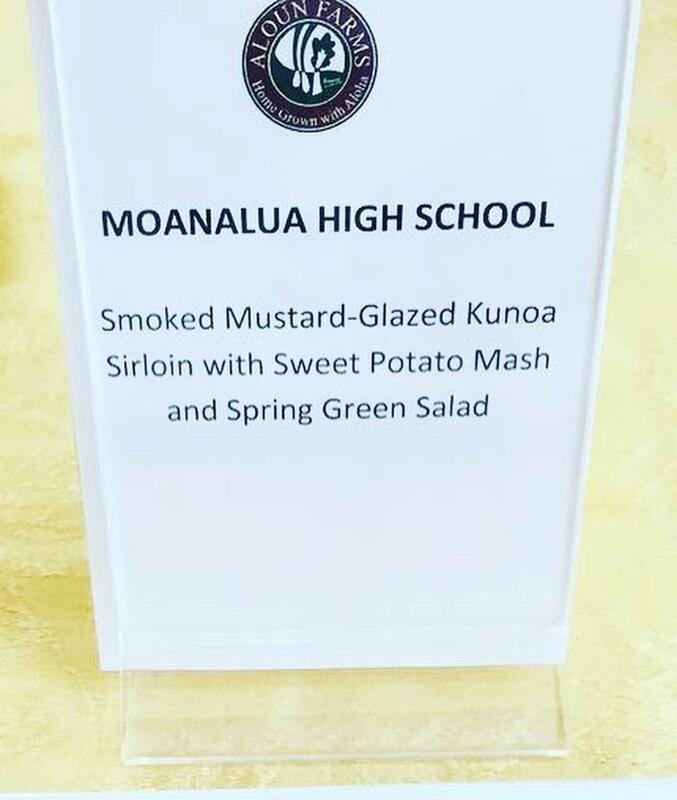 Victoria spent the entire quarter designing the menu and with Luke's support, input and cooking skills they impressed the judges this weekend. The guest chef judge was executive chef Jeremy Shigekane from Mavro, a James Beard Award-winning restaurant, and he gave awesome praise and feedback to the kids. Our team will be featured at the Aloun Gala on May 11th which will showcase them and their award-winning dish. 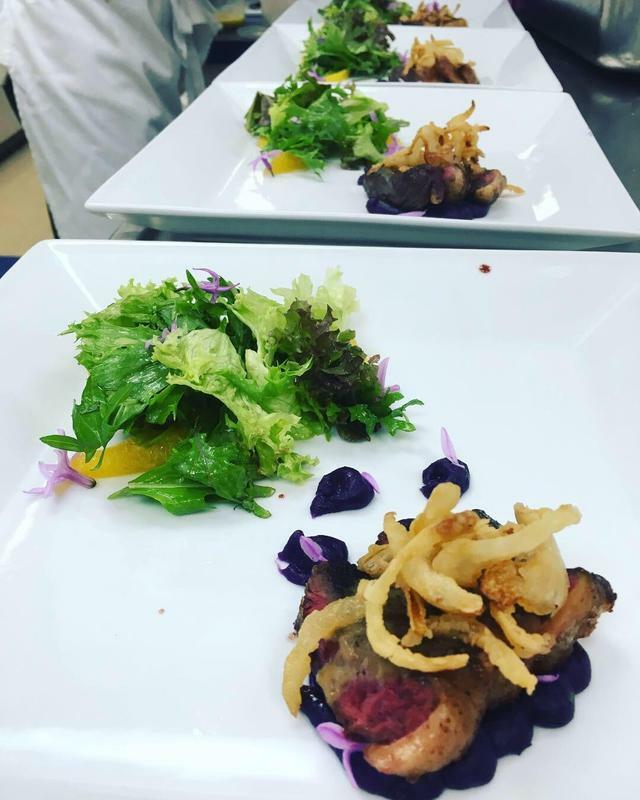 That evening, they will be gaining real-life, hands-on experience will be preparing their dish for 300-400 guests. Way to go!